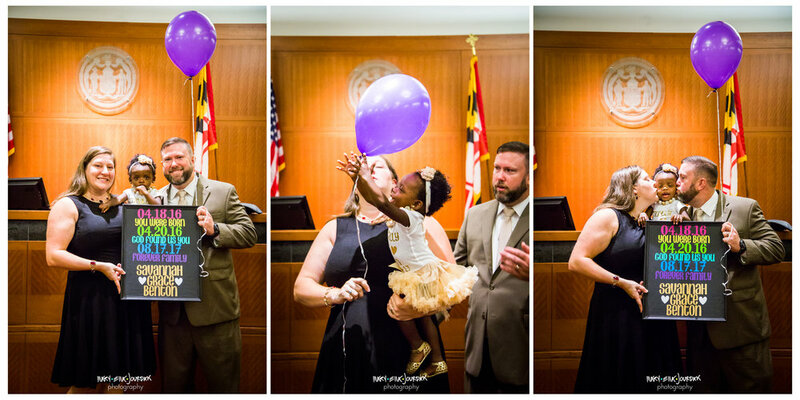 Just ahead of the first official family portraits we'll be taking later this week, here's one of the most absolutely amazing days I've ever been able to document - Savannah Grace becoming an official Benton on her adoption day. 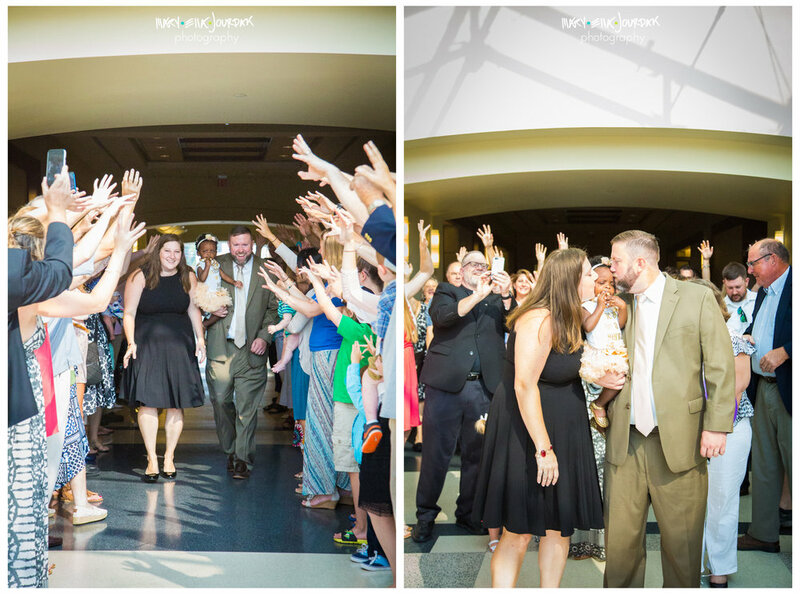 I've photographed weddings and celebrations of life, births and birthdays, but this was a truly unique experience, and one I'll never forget. 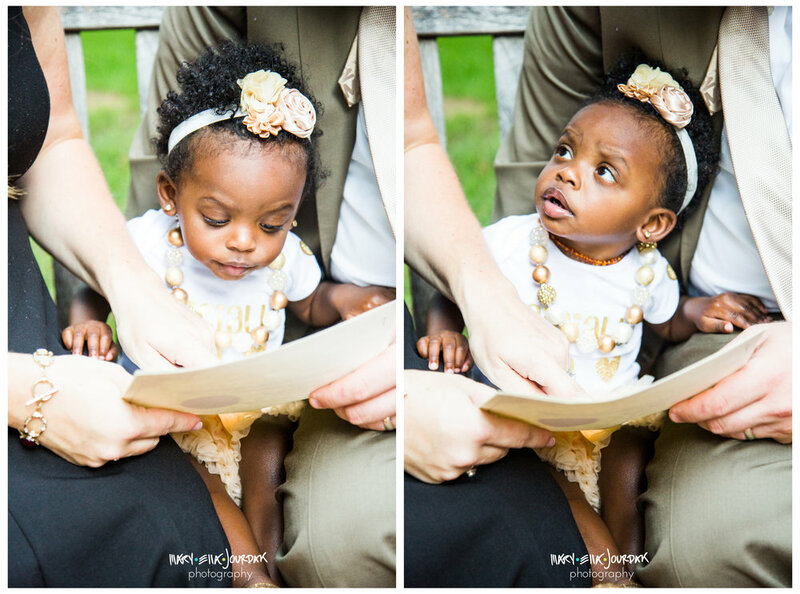 I'd only exchanged messages with Savannah's mom (hehe - I just got giddy typing that out!) Sarah over Facebook, but immediately knew I'd get along fabulously with her and her family. 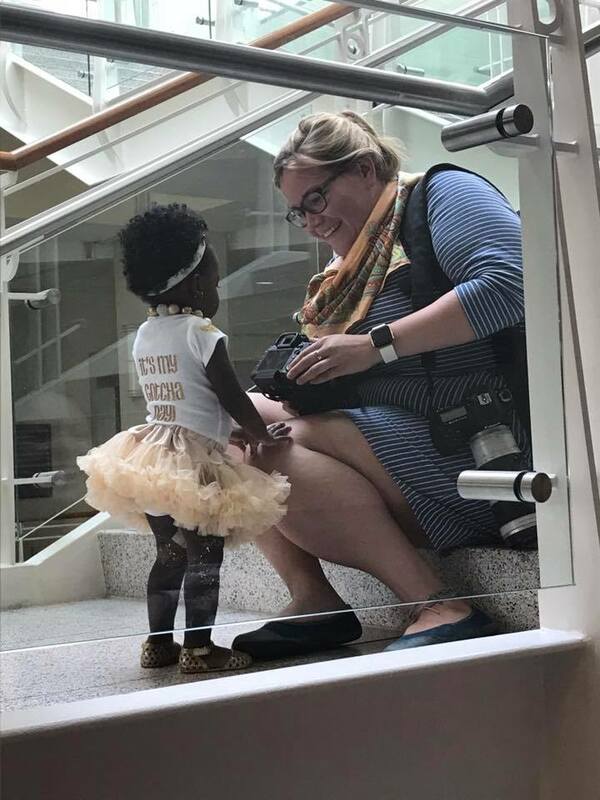 In between trying to hash out our schedules, Sarah told me all about the sweet little girl they'd been fostering to adopt since she was a whooping 48 hours old. 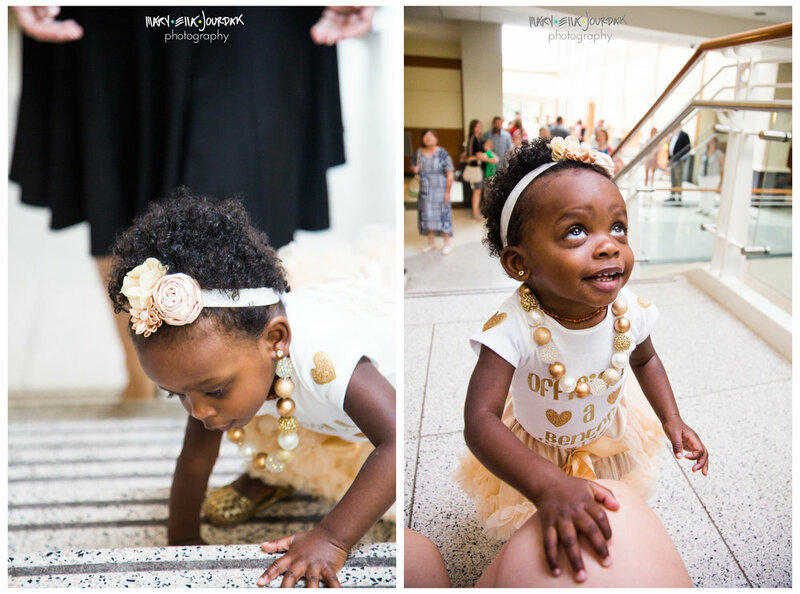 The Bentons always knew Savannah was meant for them, today was just to officially declare her as family, and share that love loud and proud with a whole big group surrounding them with support. 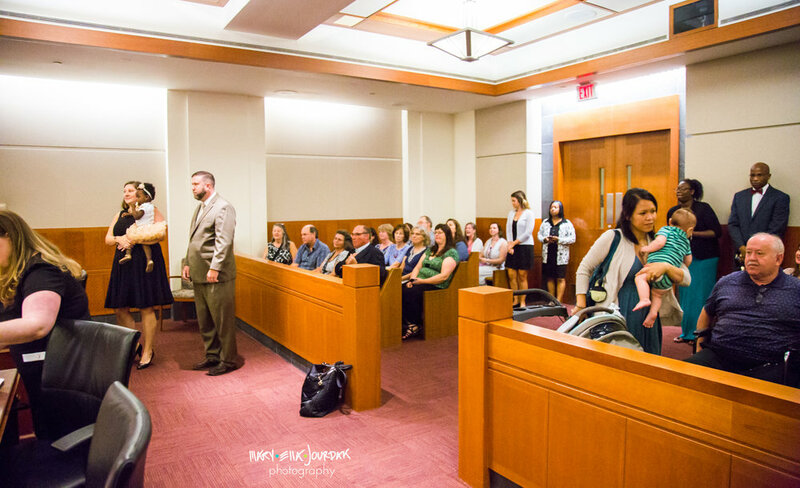 And surrounding is an understatement - there was such a giddy buzz as everyone hugged and kissed and shed a few happy tears while kiddos of all ages were weaving between legs and giggled running through the hallway, and this was before we even made it in to the courtroom.
" I don't even have adequate words for what a beautiful day today was. I watched a birth.. not like in nursing school. I watched a family, hand picked by God, be born today. I watched what endless prayer, perseverance and the fiercest of loves can do. 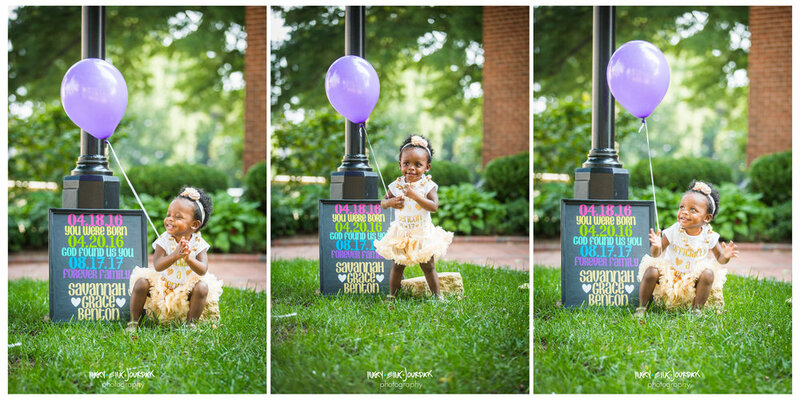 My heart is exploding in hope for the world because the Bentons became a party of three!!!!! 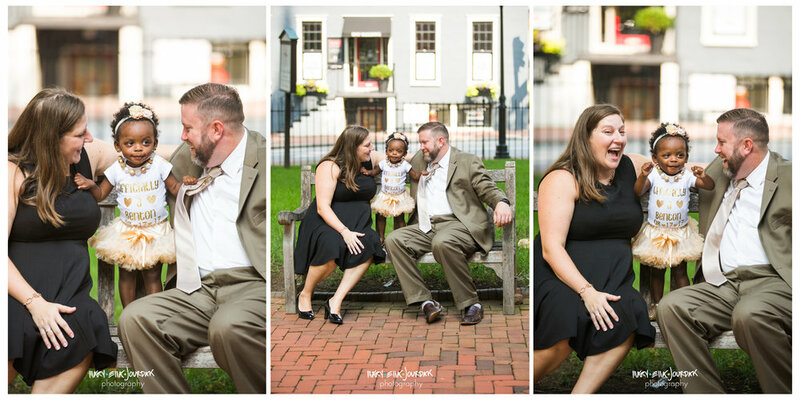 Savannah is pure joy and I couldn't think of a more deserving family to come together. They truly were made for each other. I remember wanting to change the world since I was little, be being the president or something outrageous. But today, they showed me that you can truly change the world by doing small things with GREAT love. 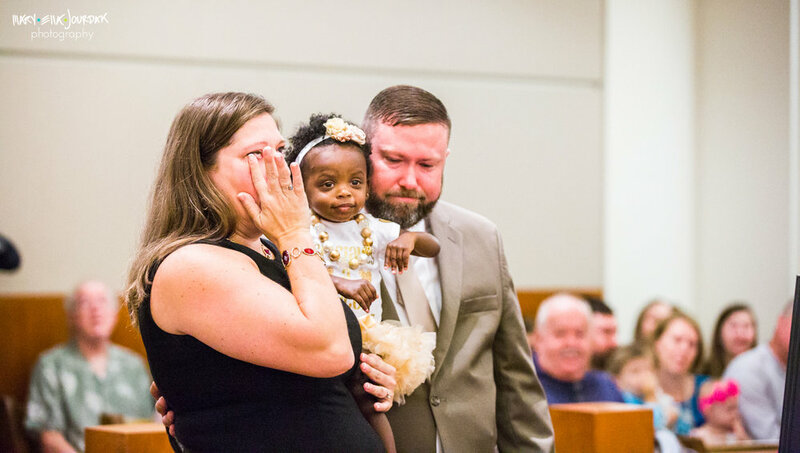 It was an extraordinary honor to witness this official adoption day and it will be a feeling I never forget."